VW Polo sales are up 55% year-on-year in Austria. New car sales in Austria are up 7.5% year-on-year in October to 28.244 registrations, lifting the year-to-date tally up 7.1% to 298.122 units. Market leader Volkswagen underperforms at -1% to 15.7% share vs. 16.5% year-to-date, but the next four best-sellers all beat the market: Skoda (+8%), Renault (+16%), Ford (+27%) and most impressively Mercedes (+34%). In the Top 10, Seat (+23%) also shines but Audi (-12%), BMW (-18%) and Hyundai (-20%) struggle. Further down, notice Citroen (+24%), Honda (+27%), Kia (+27%), Peugeot (+32%), Mini (+43%), Jeep (+45%), Suzuki (+71%), Lada (+73%), Bentley (+75%) and Toyota (+75%) all posting spectacular gains. 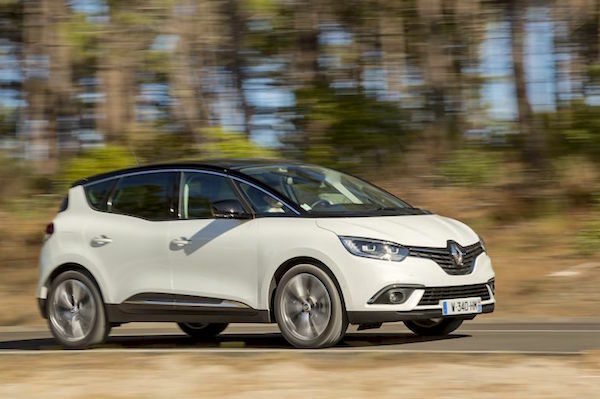 The Renault Scenic is up 5-fold on October 2016 thanks to the new generation. 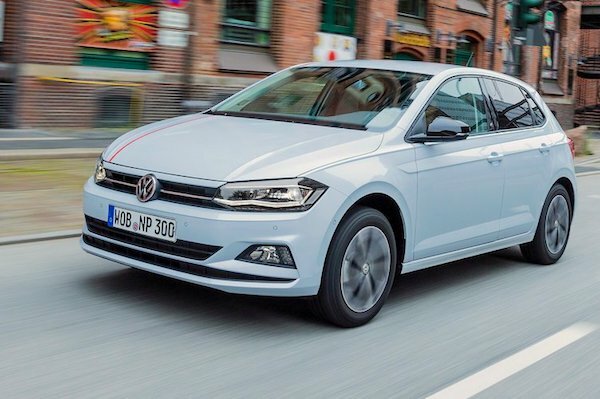 Model-wise, below the VW Golf up a robust 20% to 4.4% share, the VW Polo rallies back up 86 spots on September to #2 with deliveries up 52% year-on-year thanks to the new model. The Skoda Octavia rounds up the podium and does even better at +62%. Reversely the Skoda Fabia (-27%) and VW Tiguan (-44%) are in great difficulty. The Renault Clio (+46%), Seat Alhambra (+55%), Renault Scenic (+403%) and Ford Focus (+50%) also shine while the Opel Crossland X (#37) dominates recent launches above the Skoda Kodiaq (#59), Opel Grandland X (#72, up 114 spots on September), Suzuki Ignis (#74) and Jeep Compass (#80). We welcome the Citroen C3 Aircross (#91), Skoda Karoq (#95) and Hyundai Kona (#97) all landing straight inside the Austrian Top 100. Full October 2017 Top 42 All-brands and Top 300 All-models below.